Las Vegas economy will remain strong over the next two years with business optimism high, but a University of Nevada, Las Vegas, economist says the “softness in tourism” will continue when it comes to visitors and hotel occupancy. 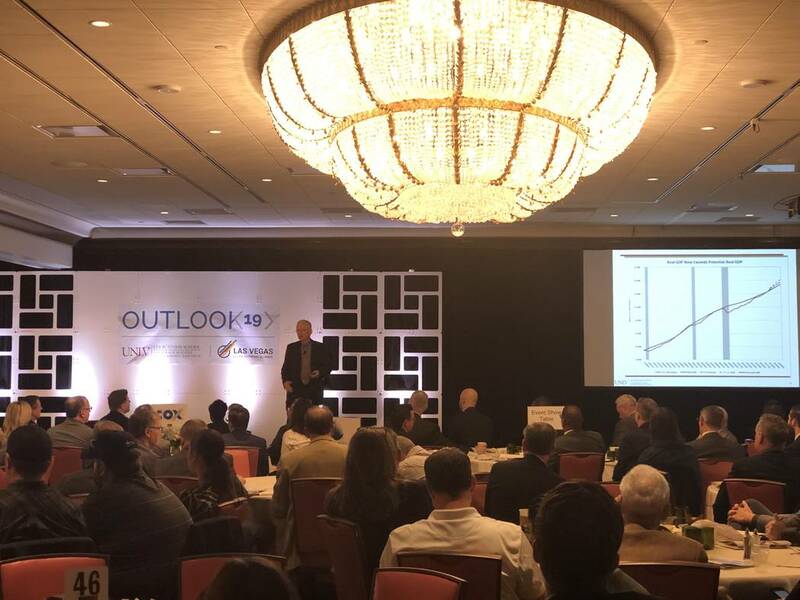 Dr. Stephen Miller, director of the Center for Business and Economic Research, released his economic forecast report on Nov. 29 at Park MGM. It came during a breakfast hosted in combination with the Las Vegas Global Economic Alliance attended by more than 400 business andcommunity leaders. 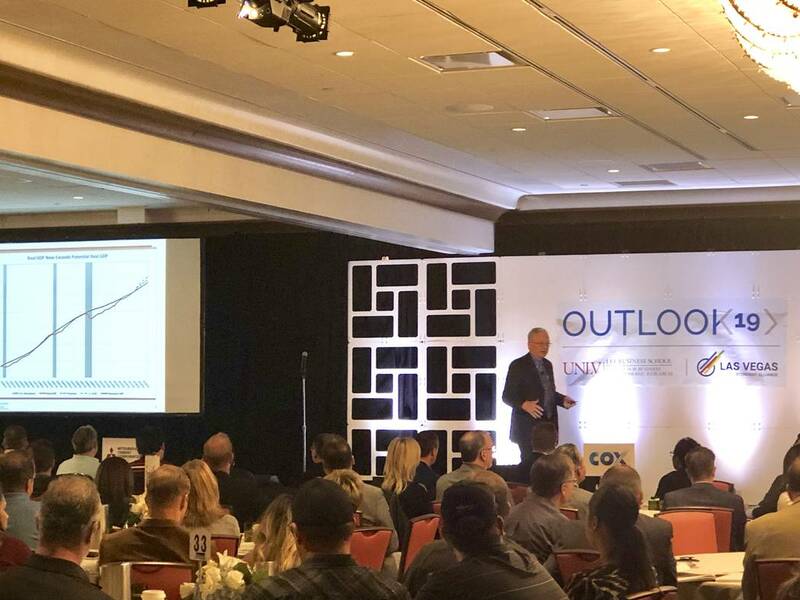 CBER projects the economic growth in the Southern Nevada economy will generally outperform the national economy, since it started the recovery later and from a much deeper hole than faced at the national level, Miller said. The economy has been bolstered by an increase in construction and will be aided in part by population growth, which will increase just above 2percent in 2019 and 2020. Job growth will remain strong through 2020, he said. The health of the Southern Nevada economy, however, still depends on national and international economic activity, especially as the Chinese economy slows and the trade war, which is on hold, looms. All of that remains uncertain despite positive business and consumer confidence, Miller said. 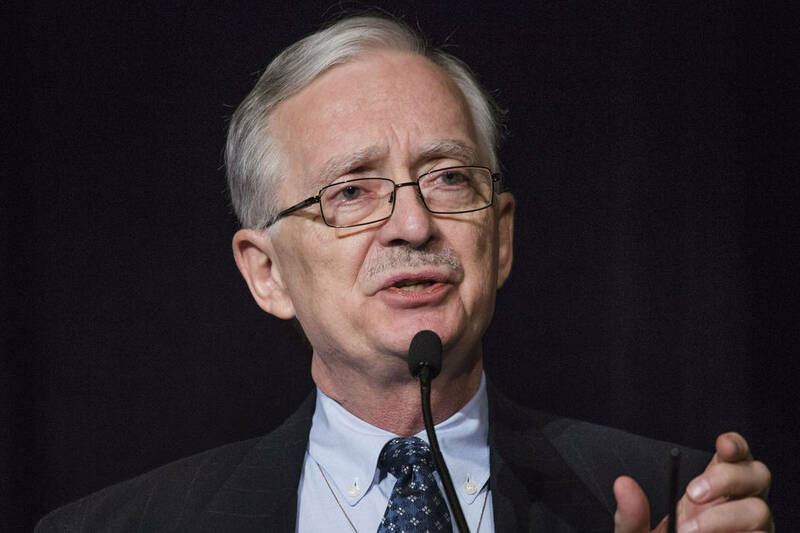 Miller said the CBER forecast is for the U.S. economy to finish the year at 3.3 percent growth. GDP will dip to 2.5 percent in 2019 and 2.3 percent in 2020. Among a survey of Southern Nevada business leaders, the consensus is the next recession won’t hit until 2021 or later, he said. Despite the positive projections for the economy overall, Miller was more subdued in talking tourism. Through the end of October, visitor volume in Clark County is down 1 percent compared to 2017, convention attendance is down 2.7 percent andoccupancy is down 1.2 percent. Gross gaming revenue, meanwhile, is up 2.2 percent through that period. Miller forecasts visitor volume will rise 0.1 percent in 2019 but dip 0.4 percent in 2020. He said hotel occupancy will fall 1.2 percent in 2019 and 0.2 percent in 2020. Finally, gross gaming revenue will decline 0.3 percent in 2019 but rise by 1.2 percent in 2020, Miller said. The CBER tourism index that’s composed of gaming revenue, hotel occupancy and passengers at McCarran International Airport has recovered 98.2 percent of its loss from the Great Recession, he said. Miller attributes a “softness in tourism” to hotel rooms being out of inventory because they’re being refurbished. The room inventory through October is 147,598 or 0.7 percent lower than a year ago. That will ultimately rebound as more rooms come online, he said. When it comes to gross gaming revenue, Miller said it’s been quite volatile since the Great Recession, and isn’t growing as rapidly as in previous decades. That’s attributable to people spending their money on food, shopping and entertainment compared the gaming, he said. Gross gaming revenue rose by 8.8 percent a year in the 1980s, 7.9 percent in the 1990s, and 5.3 percent in the 2000s before the recession. Since the recession, gross gaming revenue has grown by 1.5 percent per year through 2017. In August, however, gross gaming revenue is short of its prior peak by 21 percent, Miller said. Miller said the CBER index that tracks the economy overall shows it’s 8 percent higher than its peak and taxable sales are 18.4 percent higher than the peak. Business leaders are confident with the third quarter measurement matching its highest point since the Great Recession, Miller said. The index measures five components — business expectations for sales, profits, hiring, capital investment and overall economic conditions — all of which are measured by a survey of Southern Nevada business leaders, Miller said. The annual growth rate of taxable sales is 5.6 percent since the recession, which is below the trend in the 1980s of 9.7 percent, the 1990s of 10.8 percent and 2000s before the recession at 8.4 percent. Miller said the Southern Nevada economy continues its recovery with more than 1 million jobs in 2018, surpassing the 931,000 in May 2007 before the Great Recession. It had dipped below 800,000 in September 2010. There’s been changes since last decade. The leisure and hospitality employment fell from just over 34 percent to just over 29 percent of total employment, Miller said. The trade, transportation and utilities sector has kept a steady share of total employment of about 17 to 18 percent. Education and health services rose in Las Vegas from 5.5 to 10.0 percent, matching a similar movement at the state level, Miller said. Professional and business services rose by just over 4.5 percentage points as a fraction of total employment in Las Vegas, Miller said. Federal, state and local government employment held steady at 10 percent. Construction employment showed the most volatility ranging from a high of 11.8 percent in 2006 to a low of 4.5 percent in 2012, Miller said. Construction employment peaked at 111,074 jobs in June 2006. The collapse of the real estate market sent construction employment plunging to 35,668 jobs in April 2012. Construction employment recovered significantly to 67,507 jobs in August 2018, Miller said. Miller said Las Vegas has “a construction boom that currently engulfs Las Vegas with a number of high-profile, large projects,” that includes the Raider’s stadium, Resorts World, the expansion of the Las Vegas Convention Center, Project Neon freeway improvement, completion of the Drew hotel, and several other projects. With all of these projects, Miller said analysts project a construction labor shortage of more than 10,000 jobs. Miller outlined the recovery of the housing market that went from nearly 78 percent of homes with negative equity in the first quarter of 2010 to only 6.4 percent in the second quarter of 2018, which is still higher than the national rate of 4.3 percent. “The good news is that Las Vegas no longer occupies the No. 1 slot, falling to third place behind Miami and Chicago in this ignominious distinction,” Miller said. In the commercial real estate market, Miller said that Great Recession “may have caused permanent changes in the normal vacancy rates in some categories.” The office market vacancy rate remains well above 15 percent, the retail vacancy rate stands at 7.4 percent, while industrial rate is 6.7 percent.